So many years spent researching in the AI field had to bear fruit. 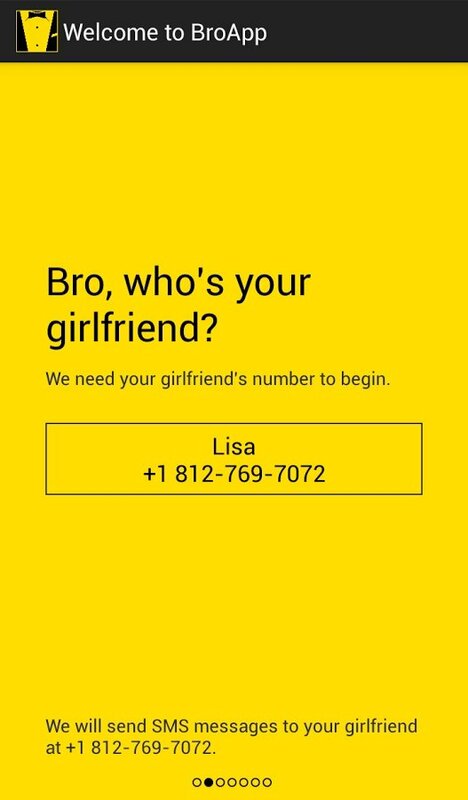 And thanks to all this research we now have an application that's ideal to strengthen our love relationships: BroApp for Android messages your girlfriend while you spend your time on other duties. Who hasn't been in the pub having a good old chat about yesterday's match or sharing manly remarks with his mates, while his girlfriend was demanding virtual love by message? 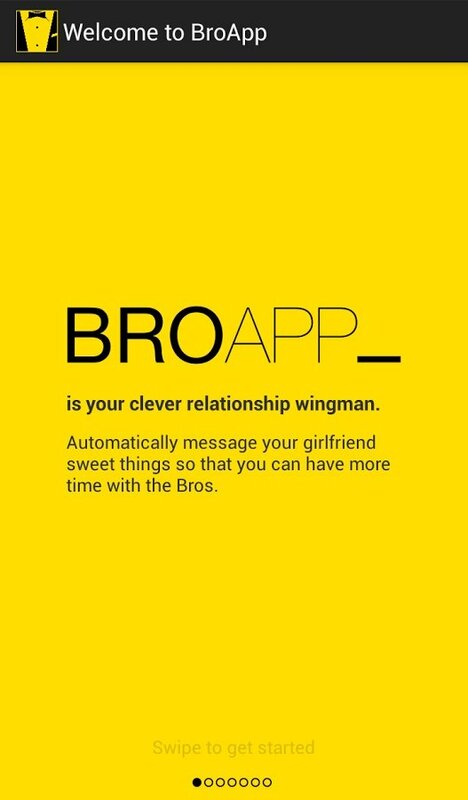 Well, now you don't have to worry about missing out on your beer chitchat because BroApp will send your significant other all the messages that you think she needs to read. Your girlfriend will be delighted until she finds out. 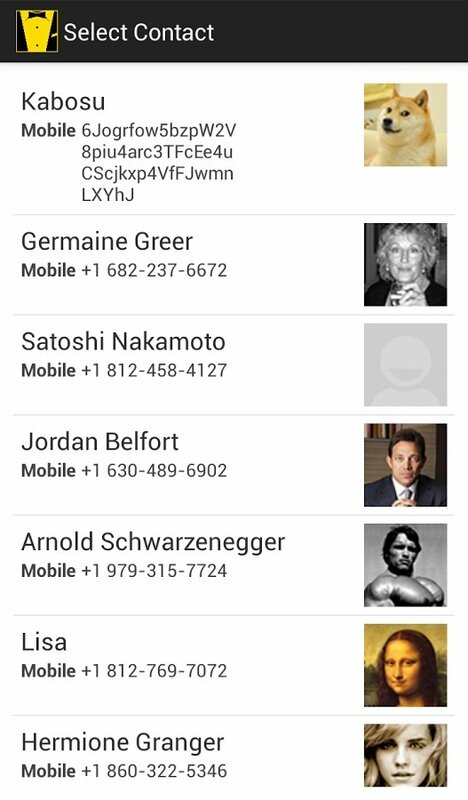 You only have to select the contact from your contact list and then the customizable sentences that you want to send her. Then you only have to choose exactly when you want them to be sent and the places from where you want to send them (work, the pub, home...). With everything duly configured you'll no longer have to worry if your love life gets in the way of what really matters. 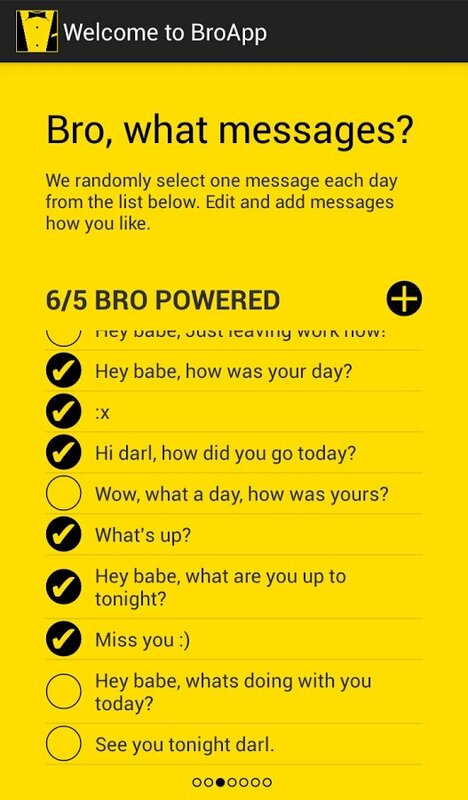 Download BroApp and let it build your love... or destroy it, depending on the point of view.